To all loving readers who missed our updates during the last few weeks, here is the update you were waiting to hear from us – we are back! Like millions, we were also affected by recent floods in Kerala (one of the biggest floods in the last 100 years). Last few weeks were very tough – our work premises got flooded, our team members had to evacuate their houses, and many fell ill. The flood disrupted our daily operations. However, we kept conducting our flagship service – ClearIAS Prelims Online Mock Test Series – strictly as per our previously announced schedule, in spite of the difficulties. Now, we have resumed our daily operations in full! Yes, we are back, stronger! 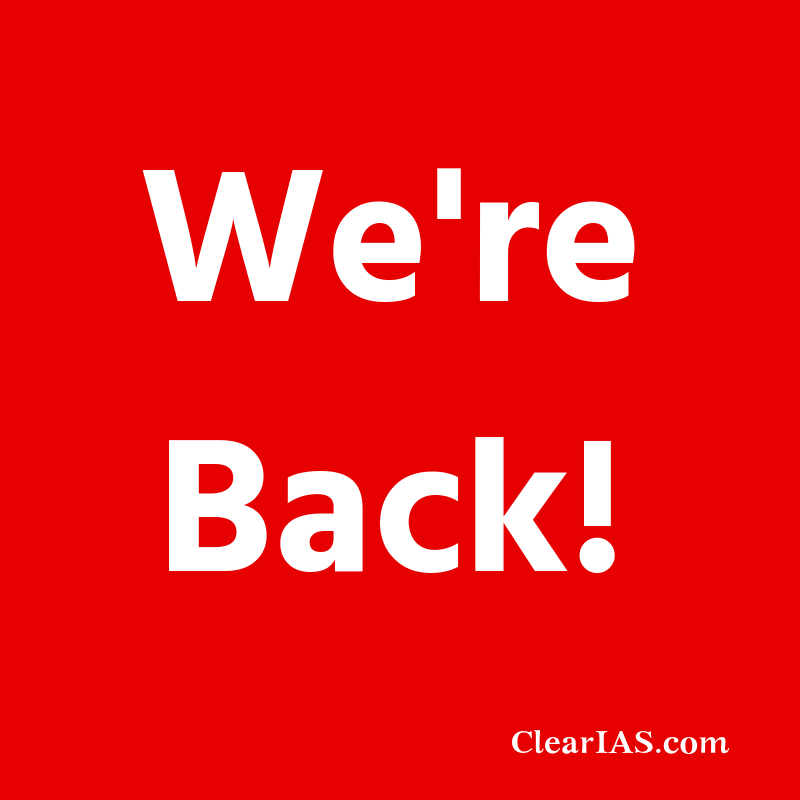 ClearIAS Mock Exams for Prelims 2019 – as per ClearIAS Timetable. Culture Mock Exam will be released tomorrow. The release of ClearIAS Current Affairs Capsules (Monthly MCQs) for July and August 2019. The release of Model Questions for Mains 2019. The release of CSAT Mock Exams as per timetable. The release of new editions of our ebooks. Responding to ClearIAS message to join us in rescue, relief and recovery operations, the civil service aspirant community made valuable contributions. There were hundreds of aspirants who actively volunteered in rescue and recovery operations. Being tech-savvy and young, the coordination from the aspirant community helped to save many lives. Equally important was the financial contribution to Kerala CMs Distress Relief Fund. We got personal messages and emails from many aspirants across India after making contributions to Kerala Chief Ministers Distress Relief Fund. As Kerala is yet to fully recover, please continue your support in relief activities. Also, remember to help your brothers and sisters from Nagaland and Kodagu – two other recently flood-affected areas. You all deserve to be future civil servants!